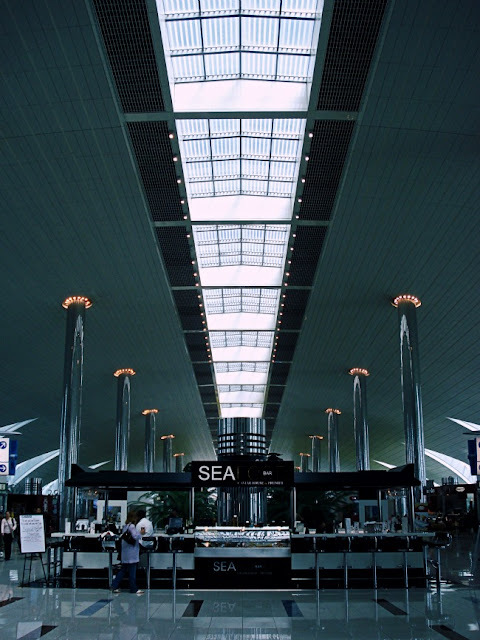 The Seafood Bar, from the Emirates terminal at the Dubai airport. Beautiful lines and curves running through the terminal, makes it look like it was right out of a Sci-fi movie. Bigger is better? Not really. Beautiful is better.